To appeal to your target audience's interests, your presentation must effectively communicate who you are, what you do and how your company can help them. As one of the world’s most experienced and best-known brands, Nomadic has earned over 15 awards for designs and presentations. Our smart custom modular, custom portable, rental and graphic solutions can dramatically reduce your operational and ownership expenses. 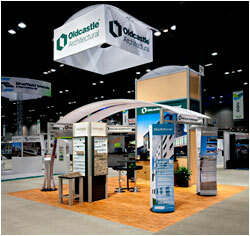 Whether you purchase or rent, Nomadic trade show exhibits are designed to help you stretch your budget. Because our trade show booths are lighter in weight you save on storage, transportation, and drayage. 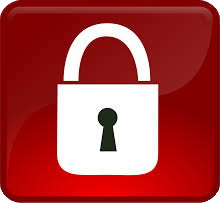 Many of our solutions are also swift to set-up so you save on labor costs. 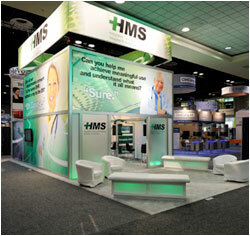 Nomadic modular displays are designed to change and grow to meet your changing business demands. 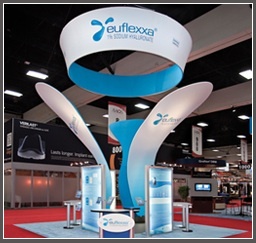 Break them down into smaller trade show displays or repurpose them to form larger ones. 4. 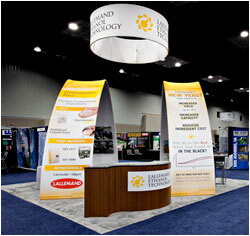 Vivid trade show display graphics. 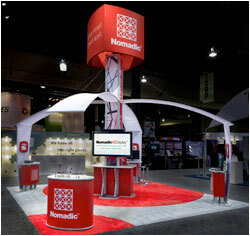 Nomadic produces attention-getting graphic images for trade show exhibits. You can trust Nomadic to deliver the highest quality graphics. Our high performance printing process uses Nanodot technology that yields a deeper color saturation than standard printers used by the majority of suppliers. So you get higher definition images and more vivid, vibrant graphics. Nomadic Display has achieved G7 Master certification in graphic printing. 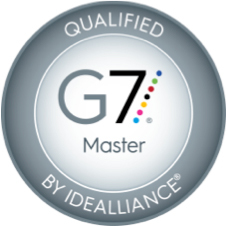 G7 Master status is granted to facilities that use the most modern techniques, technology, and calibration controls. 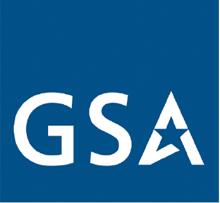 G7 certification validates our expertise in delivering the highest quality graphics for trade shows, events and commercial interiors. From proof to print, we hit desired color targets and gray balance so our customers’ graphics consistently match their design and brand across different substrates. Nomadic trade show displays are made in America using the highest quality materials including aircraft grade, drawn aluminum and impact resistant polycarbonates. We employ state-of-the-art processes such as welding, thermoforming, and rotational molding to fabricate our products. And every Nomadic trade show exhibit is inspected to ensure it meets our rigid quality control standards before shipment. Rest assured that your investment in a Nomadic Display is protected against defective craftsmanship for as long as you own it. 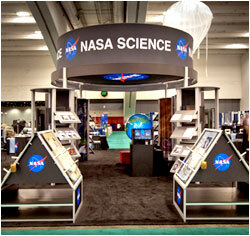 Nomadic trade show booths are backed by the best warranties in the industry. If you encounter a problem on the road, you need to get help fast. That's why Nomadic introduced the LifeLine - - the first global emergency hotline to ensure every effort is made for your show to be a success. Browse our trade show exhibit systems, exhibit designs, trade show exhibit rentals and support services to learn more about how we can help you.